Amateur Astrophotography exploring the beauty of the night sky! 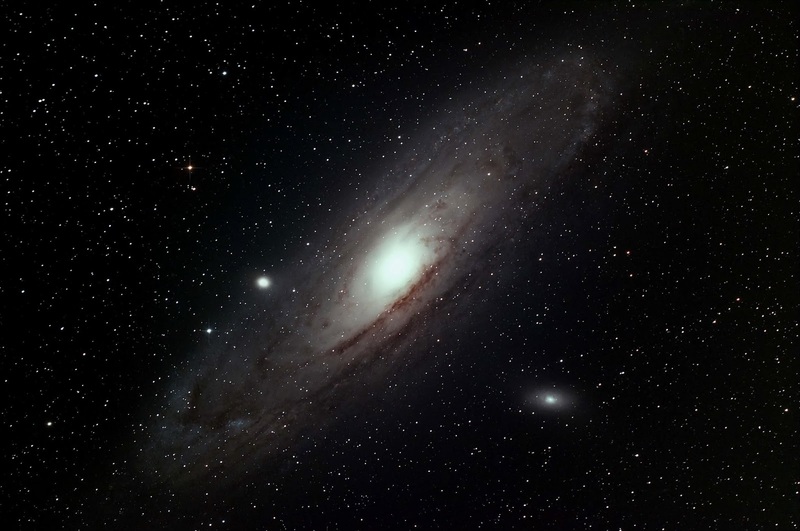 The Andromeda Galaxy is a spiral galaxy approximately 2.5 million light years away. It's the nearest galaxy to our own Milky Way galaxy. Near dark sky areas, the Andromeda Galaxy can be seen with the naked eye in the constellation Andromeda. Captured with Nebulosity and guided with PHD guiding.